The event may serve as a dramatic setup to Kim’s crucial nuclear negotiations with President Donald Trump that may take place in the next few weeks amid widespread skepticism on whether the North will ever fully surrender its nuclear weapons. Kim made the comments during his summit with South Korean President Moon Jae-in on Friday at a border truce village, where he also expressed optimism about his meeting with Trump, saying the U.S. president will learn he’s “not a person” to fire missiles toward the United States, Moon’s spokesman Yoon Young-chan said. The Friday summit between Moon and Kim kicked off a global diplomatic drive to deal with the North’s nuclear and missile threats, which after a flurry of weapons tests last year involve purported thermonuclear weapons, developmental ICBMs and quick-fire solid-fuel missiles. While the meeting ended with no new concrete measures on the nuclear standoff, the more substantial discussions on the North’s denuclearization — including what, when and how it would occur — were always going to be reserved for a Kim-Trump summit. The new round of nuclear negotiations with North Korea comes after a decades-long cycle of crises, stalemates and broken promises that allowed the country the room to build a legitimate arsenal. Seoul has said Kim expressed genuine interest in dealing away his nuclear weapons. But North Korea for decades has been pushing a concept of “denuclearization” that bears no resemblance to the American definition, vowing to pursue nuclear development unless Washington removes its troops from the Korean Peninsula and the nuclear umbrella defending South Korea and Japan. There is widespread doubt whether Kim will ever agree to entirely abandon his nuclear weapons when he clearly sees them as providing his only guarantee of survival in a region surrounded by enemies. Some analysts see Moon’s agreement with Kim at Friday’s summit as a disappointment, citing the lack of references to verification and time frames and also the absence of a definition on what would constitute as a “complete” denuclearization of the peninsula. “The two leaders established a framework for plausible resolution of the most pressing issues on the peninsula, credibly agreed to further leader-level discussions, and frankly recognized the devil will be in the details of implementation,” he said. Moon over the weekend briefed Trump and Japanese Prime Minister Shinzo Abe on his talks with Kim. Moon told Abe he conveyed Japan’s desire to normalize ties with North Korea after resolving issues on “past history.” Kim replied that he’s willing to negotiate with Japan, Moon’s office said. The office didn’t provide details but Abe reportedly said that Moon did raise the North’s abduction of Japanese citizens during his meeting with Kim. Japan says North Korea abducted at least 17 Japanese citizens in the 1970s and 1980s to train its agents in Japanese language and culture in order to spy on South Korea. North Korea has acknowledged abducting 13 Japanese in the 1970s. It allowed five of them to visit Japan in 2002 and they stayed. North Korea says eight others have died, but their families say the North’s statement cannot be trusted. North Korea has invited the outside world to witness the dismantling of its nuclear facilities before. In June 2008, international journalists live broadcast the demolishing of a cooling tower at the Nyongbyon reactor site, a year after the North reached an agreement with the U.S. and four other nations to disable its nuclear facilities in return for an aid package worth about $400 million. 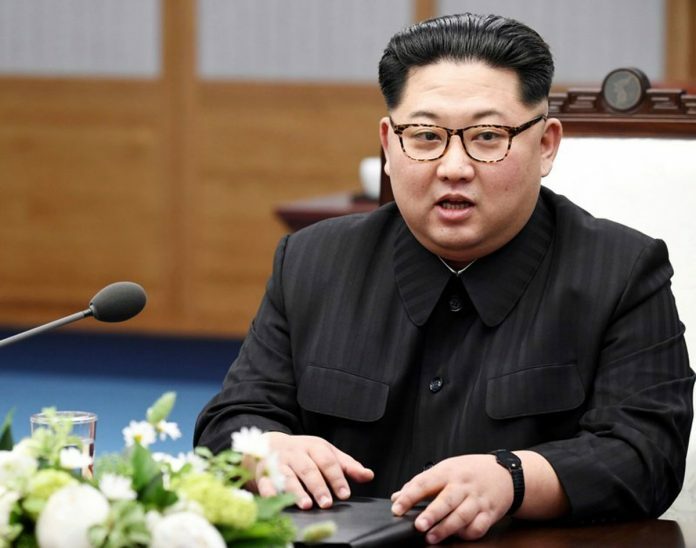 But the six-nation deal eventually collapsed after North Korea refused to accept U.S.-proposed verification methods and the country went on to conduct its second nuclear test detonation in May 2009.